Protect Your Home with a Carbon Monoxide Detector! 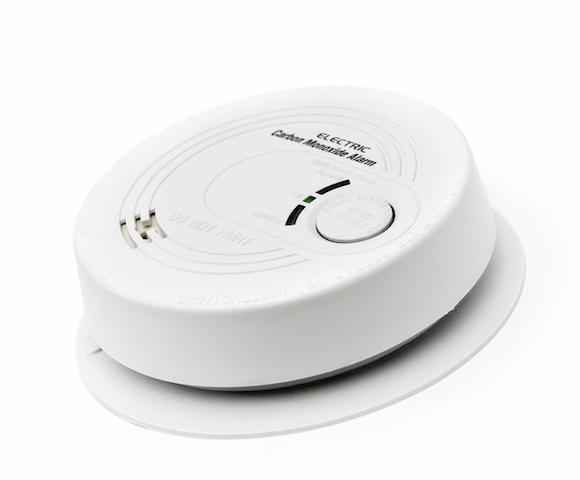 Installing a carbon monoxide detector in your home could save your life! During the frigid winter months, heating your home is vital. An unfortunate risk that comes along with running the heat is carbon monoxide. Ordinarily, your HVAC system has a fan that draws the gas out. However, sometimes things that go wrong that prevent the fan from working properly. If this ever happens, your carbon monoxide detector could save your life! Many common items can potentially emit carbon monoxide: car running in a closed garage, gas, oil, or kerosene heaters, gas oven or dryer, or even a fireplace burning. Some of the symptoms of carbon monoxide poisoning are dizziness, headaches, passing out, blurry vision, respiratory distress, weakness, and disorientation. If you feel any of these things but feel better after leaving your home for a while, you may want to have your home tested for carbon monoxide. You want to keep your family safe, and TriStar Electric is here to help! Give us a call today and one of our friendly, experienced technicians will install a carbon monoxide detector in your home! Friendly Reminder: Check Your Smoke Detectors! The “spring forward” daylight savings time change has come and gone, and now is the perfect time to test your home’s smoke detectors! While testing your smoke detectors, you can also take a minute to go over your fire safety evacuation plan with your family. You will want everyone to know exactly what to do in the event of an emergency; the more everyone practices, the safer they will be! For ALL of Residential or Commercial Electrical Needs, Call TriStar Electric! This entry was posted on Wednesday, March 21st, 2018 at 7:18 pm. Both comments and pings are currently closed.